The Kona has two displays, the 1.44-inch exterior screen and the 2.4-inch main screen. The exterior display is fairly low rez with 128 x 128 pixels, but is bright enough to be seen outdoors. The main screen has 320 x 240 pixels and it looks fairly good. Individual pixels are easy to spot, and the on-screen elements, text, and icons have pixelated edges, but it's not that bad. I had to crank the brightness all the way up in order to see the Kona's screen outdoors under a sunny sky. 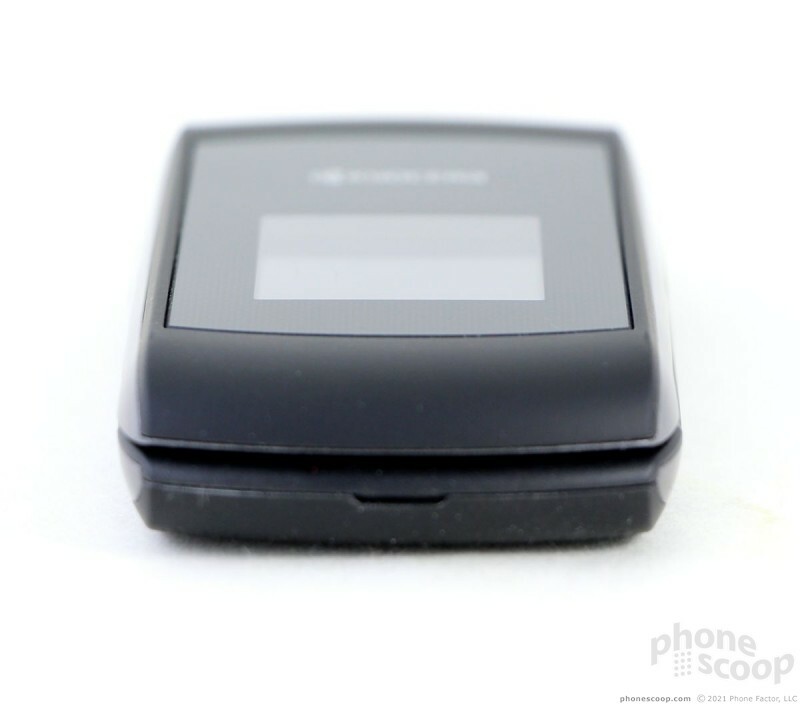 The Kona is limited to Sprint's CDMA 1x cellular network. That means no 3G, and certainly no LTE 4G. That said, it performed on par with other devices I've tested on Sprint's network in the greater New York region. The Kona was able to make calls under all network conditions (weak/strong coverage), and never missed or dropped any calls. Call set-up times were longer than average in weak coverage areas, though. As a 1x device, the Kona isn't really meant to be used for mobile data, but it still managed to load web sites when given enough time. Call quality via the Kona is average at best. The voices coming through both the earpiece and speakerphone were scratchy and suffered from distortion. That said, they were plenty loud. Both the earpiece and speakerphone offer more than enough volume for everyday environments, and it was quite easy to hear calls despite heavy construction (a.k.a, a jackhammer) taking place on my street. 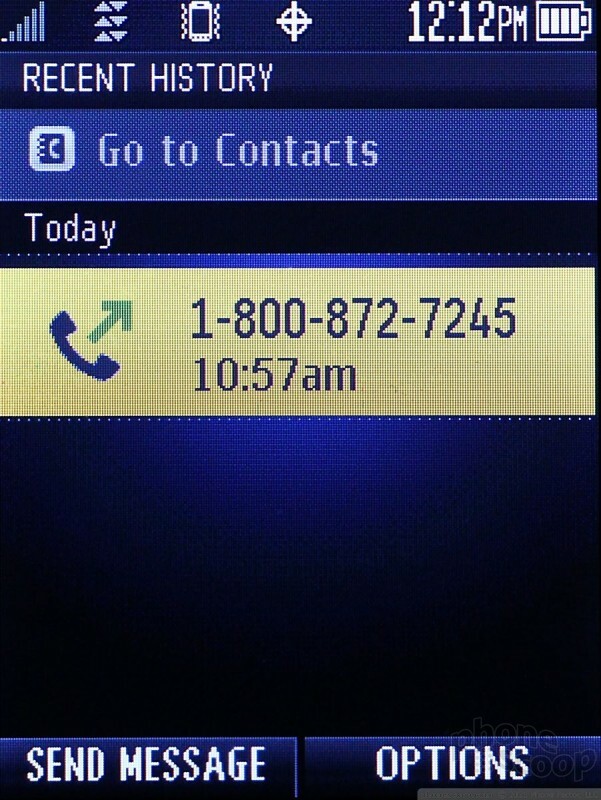 The volume makes up for the quality a little bit, but I wish calls were clearer. Ringers and alert tones can be set to obnoxious levels and the vibrate strength is enough to make the Kona rattle its way across your desk. 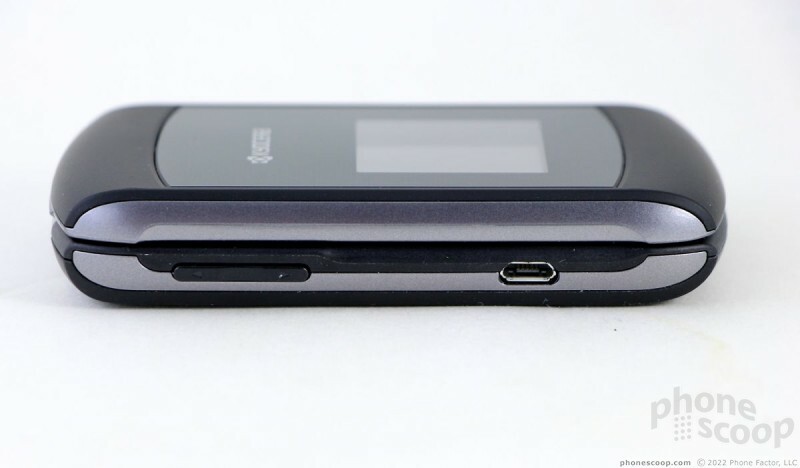 Like most feature phones on 2G networks, the battery lasts for days and days. 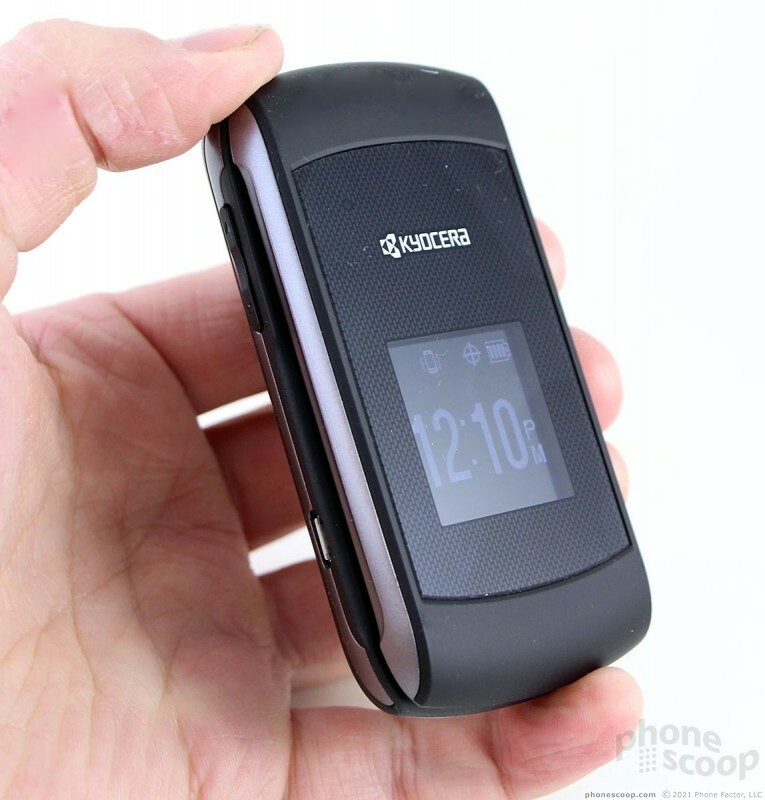 Kyocera says the 870mAh battery is good enough for 6 hours of talk time, and that's accurate. If you don't talk much, you can easily go three days between charges. The Kona runs Sprint's age-old and under-developed Java feature phone platform. This user interface has been around for at least five years. It is basic and straight-forward. First-time phone owners will find it easy to master, though anyone used to a smartphone will likely want to tear their hair out. 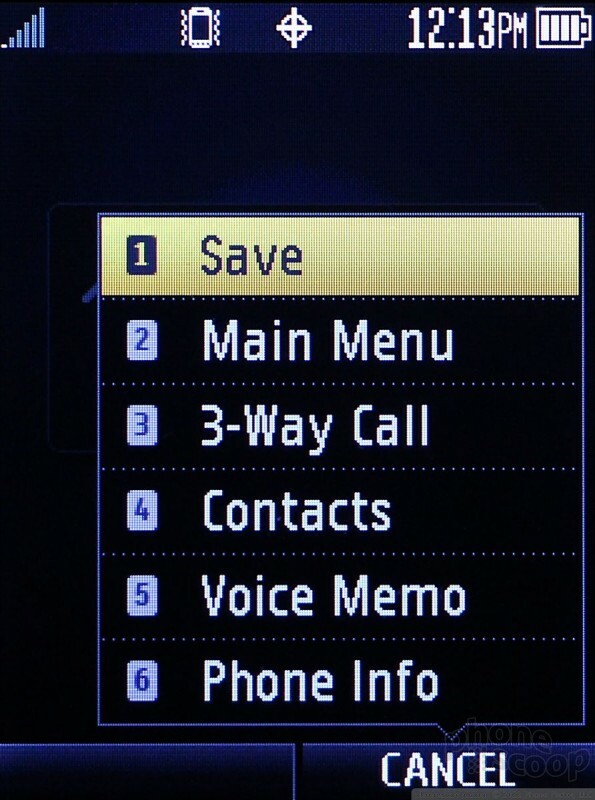 What bugs me the most is the yellow-on-black appearance of the main menu and the inability to change it. There are no themes, no profiles, and no options to change the background and menu colors. 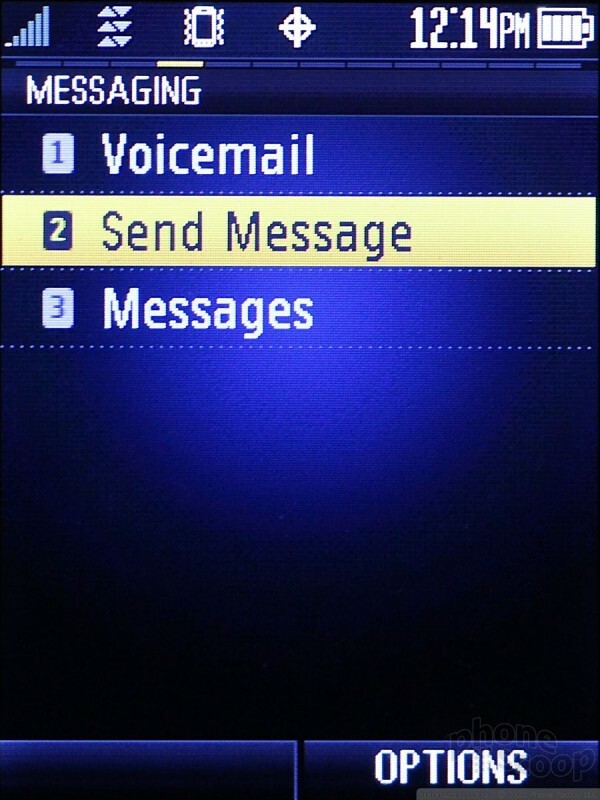 The home screen provides access to the messaging and contacts apps via the soft keys. The d-pad offers customizable shortcuts to four apps - one for each direction - if you so wish. These can be handy if you want to jump to the browser or other apps quickly. Pressing the button in the center of the d-pad takes you to the main menu. 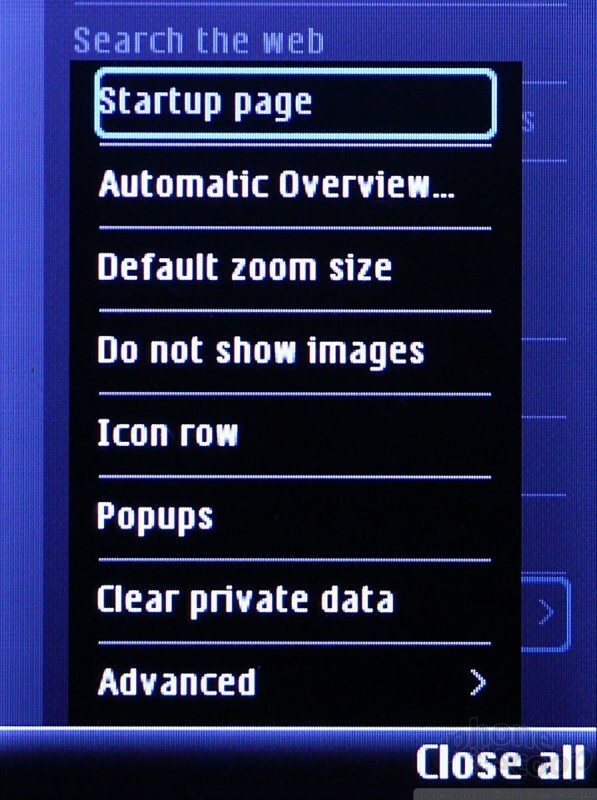 The main menu is a 12-icon grid that can also be viewed in list form, or with large fonts. Rather than make you jump through hoops to change the way the main menu looks, the right soft key does the trick. The 12 icons don't offer any surprises and are composed of the requisite mixture of phone tools and Sprint service offerings. Similar to other Sprint phones, it uses the My Stuff folder to centralize all your media and apps and games. The "Shopping" icon doesn't take you to an on-board app store. 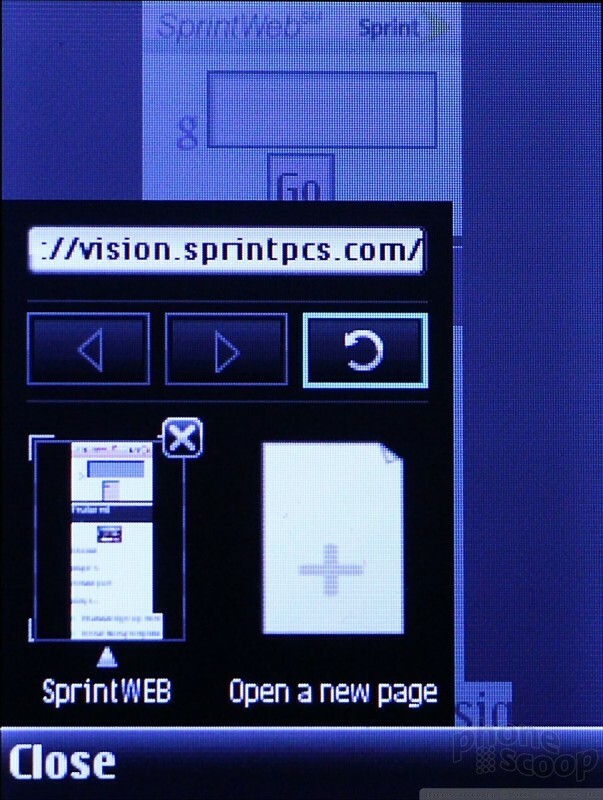 Instead, it fires up the browser and loads Sprint's painfully bad content portal. Once you move deeper into the menu system, the default view of the menus switches to an endless array of lists. In terms of customization, the Kona covers the basics with wallpapers, ringtones, and alert sounds. 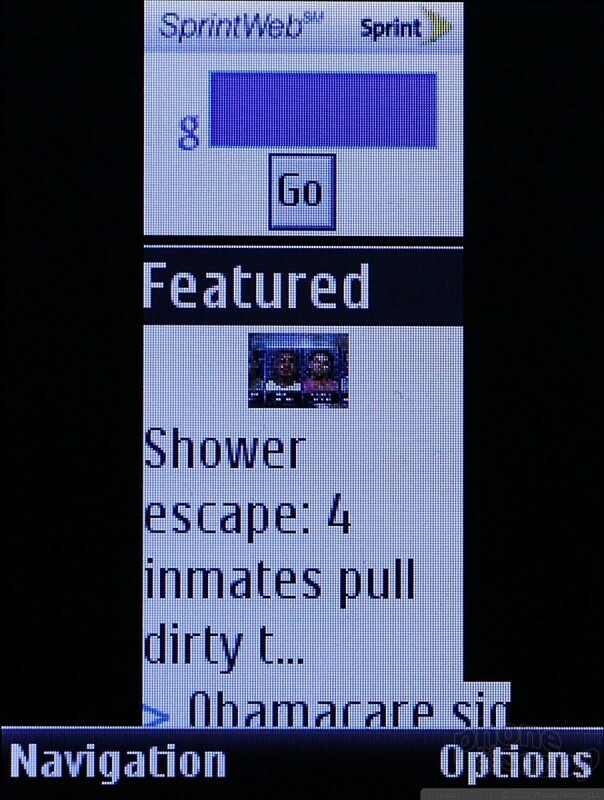 It's a shame that adjusting the font size doesn't affect all screens. It only improves visibility on the top-level menus, the dialing font, and the messages font. 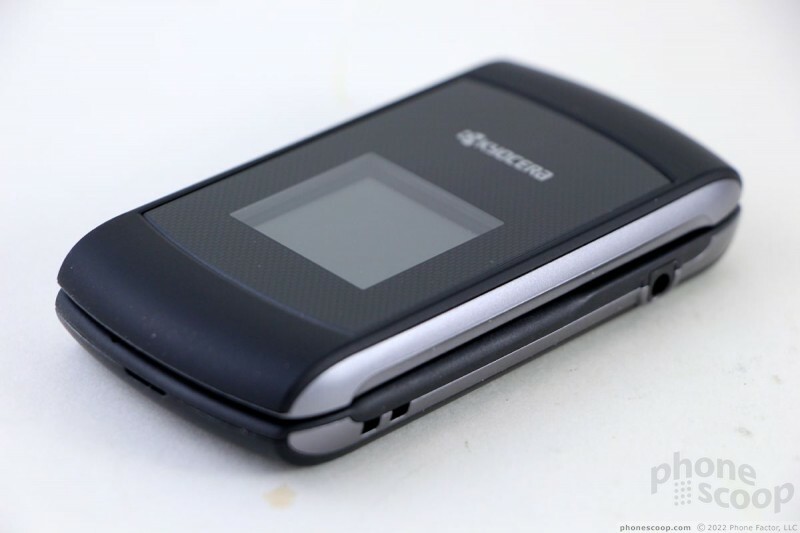 As far as performance goes, it's a flip phone. The processor is more than capable of running the Java operating system. I didn't notice any trouble with the apps and/or services on board. 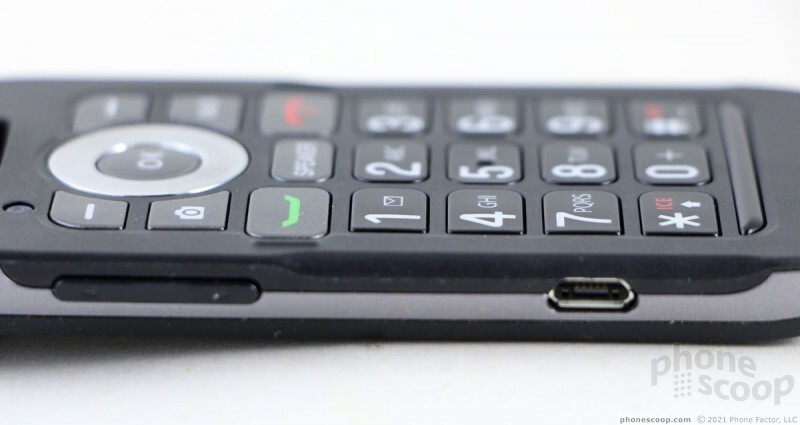 The Kona is a simple device with which to make calls. 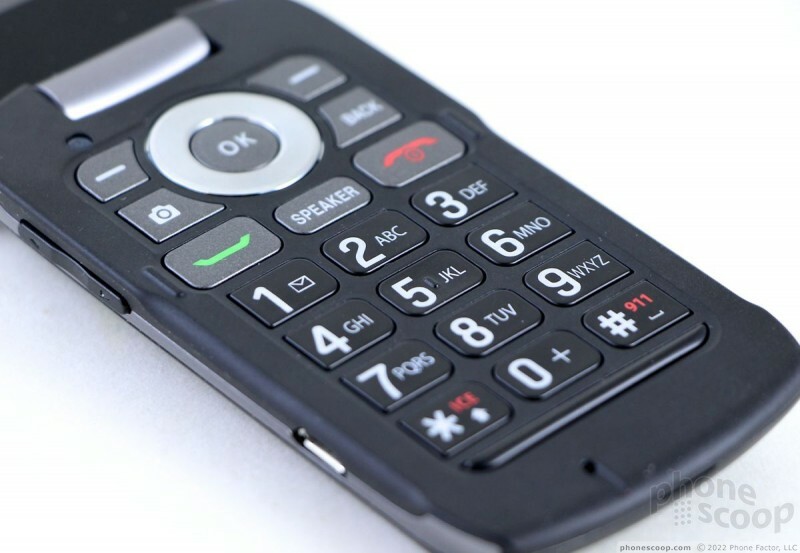 There is no support for Sprint's Direct Connect (PTT / walkie-talkie) service, so you're limited to regular old phone calls. 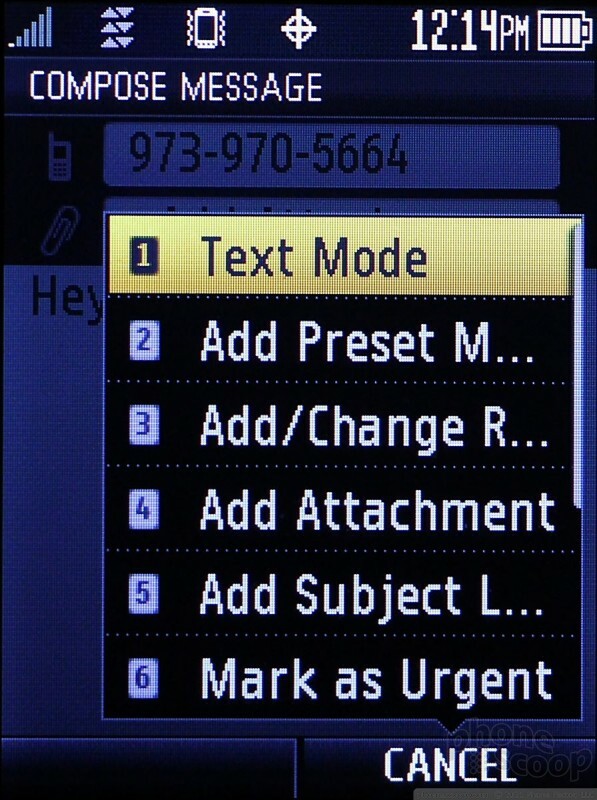 Press the green send key to summon a list of your recent calls. 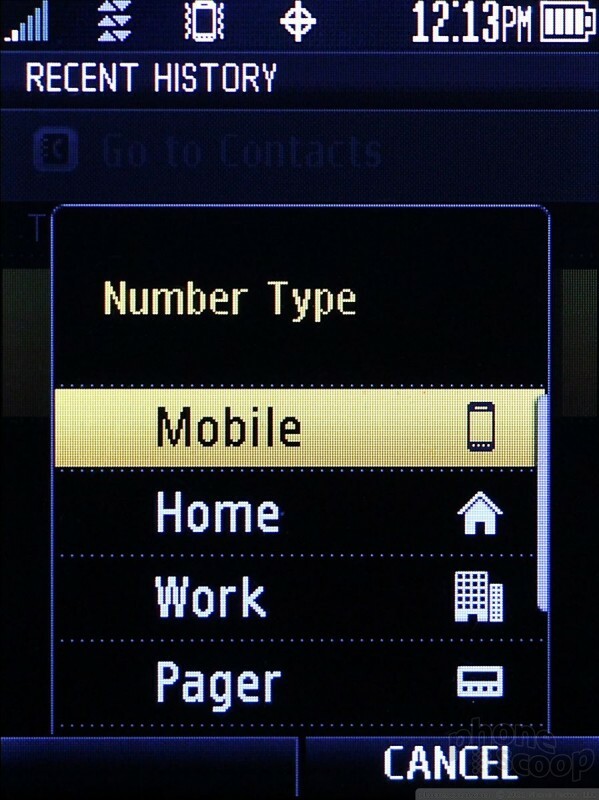 The in-call options range from the typical phone book access to 3-way calls. You can also set up to 98 speed dials if you wish. There is something rewarding about pressing real keys to call someone, but that's probably just nostalgia talking. 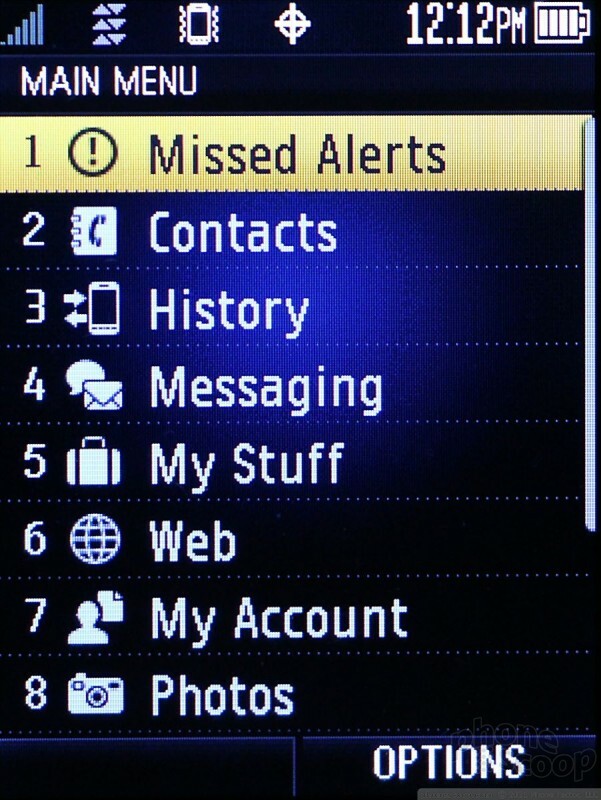 The contacts applications is simple, straight-forward, and opens with a press of the right soft key when on the home screen. 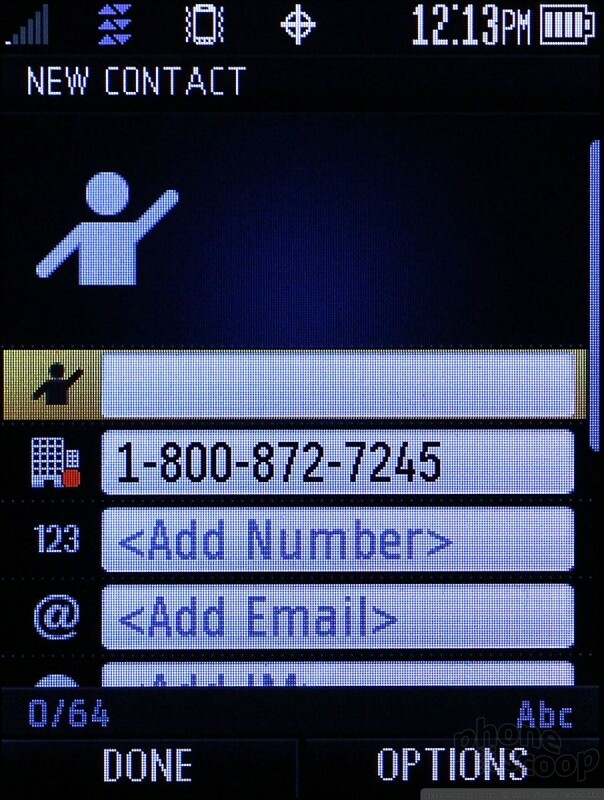 Once in the contact list, the left soft key automatically initiates a text message to whatever number is highlighted. 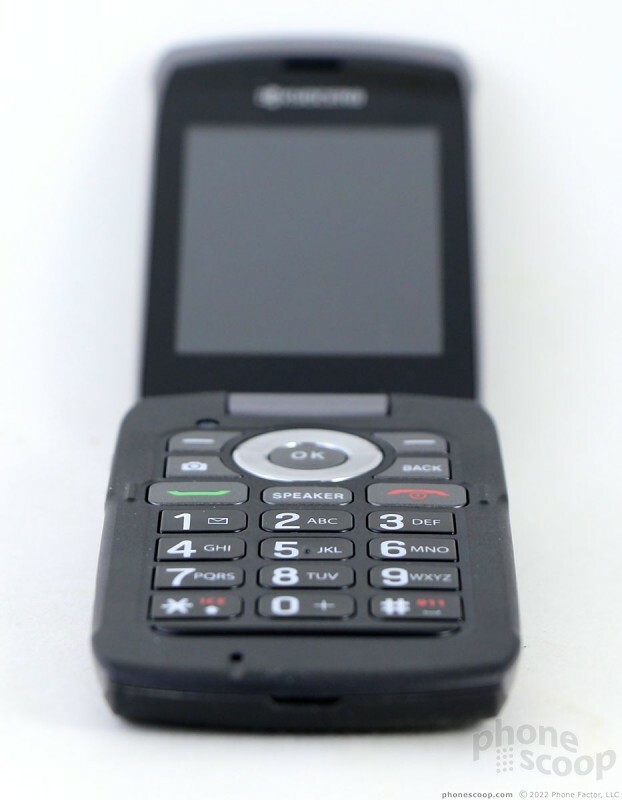 The phone holds up to 600 contacts, and each can carry several phone numbers, email addresses, and other data. The Kona is capable of send/receiving text messages, but anything beyond that is asking a lot. 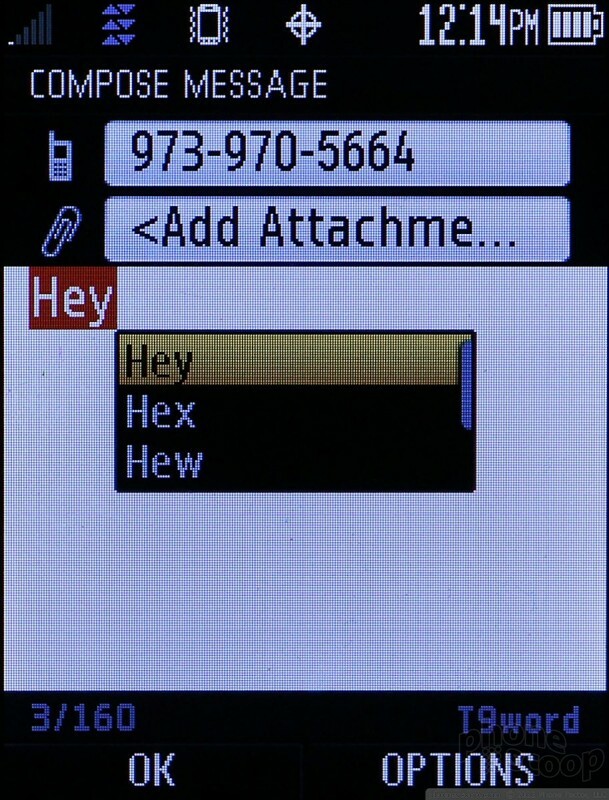 The Kona lets you enter text via the tried-and-true triple-tapping method, with T9, and several other options. 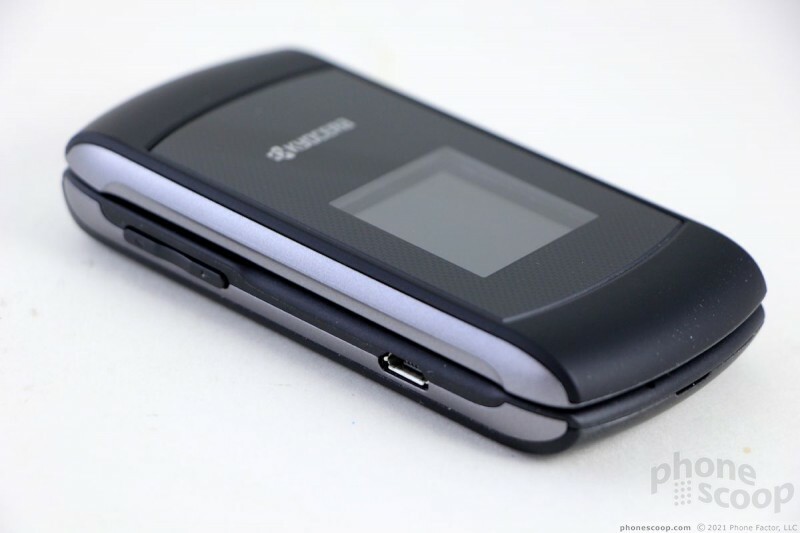 T9 is the best, as it helps figure out words as you go. In fact, it not only predicts the word you want, but offers a handful of suggestions when it cannot. 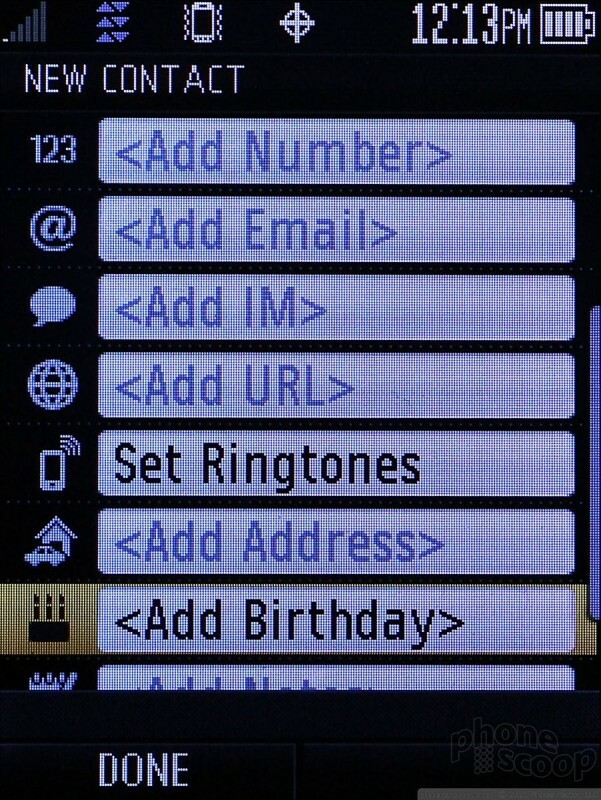 There are 20 pre-loaded messages, as well as an easy way to insert web shortcuts, which are standard Internet letter groupings, such as "http://", "www", or ".com". 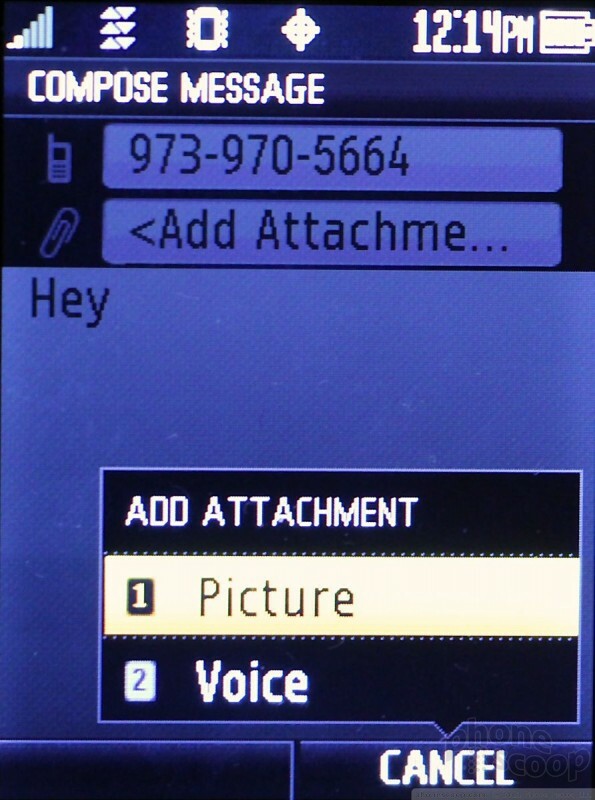 It's easy to stick an image or voice note into a text message, but there is no video messaging. Thankfully the Kona offers threaded text conversations. There are no email nor IM clients pre-loaded on the Kona. I could not find any in Sprint's online content store, either. That means no email for you. Social networking of any sort is limited to the mobile web sites. "Clunky" doesn't even come close to describing the experience. There is no music player on the Kona. The same goes for video. This is not an entertainment device. 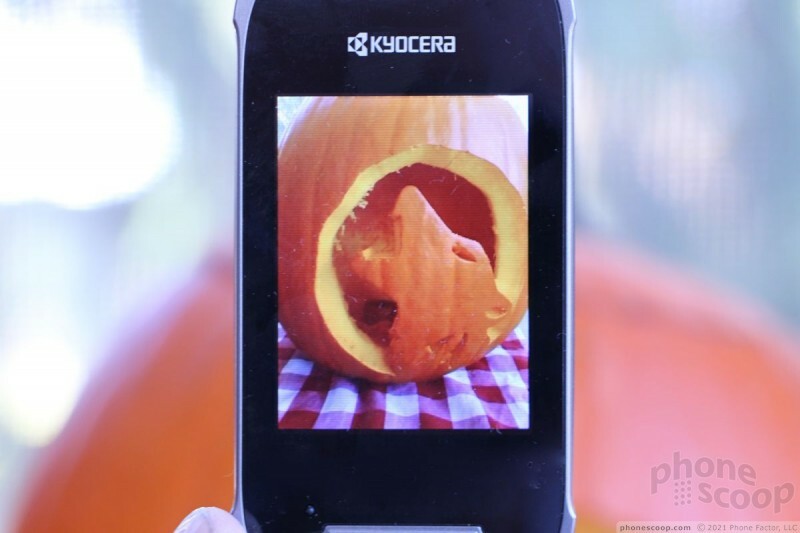 The Kona has a 2-megapixel, fixed-focus camera. 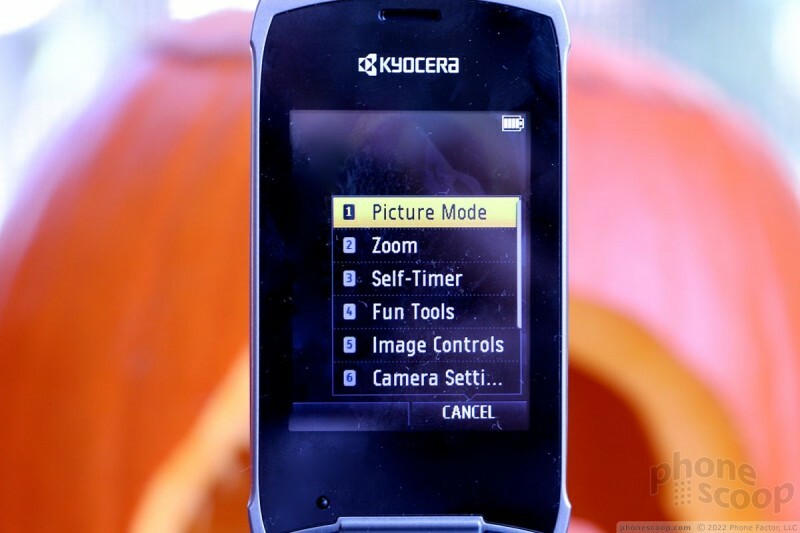 Press the dedicated camera key once to open a short list of camera-related options, or press it twice quickly to open the camera itself. The camera launches in about 2 seconds, and it takes a second or so to shoot an image, and another second to process an image. It's certainly not the fastest camera phone I've used. You can adjust all of the exposure controls you'd expect with a phone, such as brightness, contrast, color, and so on. I'd guess most users won't bother with these controls, however, especially since they are buried a few layers deep in the camera's user interface. There are some fun frames, some image tools, such as making photos black and white, or sepia tone. The camera software is pretty basic. The Kona cannot record video. As far as camera phones go, the Kona is pretty darned awful. I wasn't expecting much, and the Kona doesn't deliver much. Focus is soft, white balance and exposure are decent, but every shot is a grainy mess. Again, it's worth noting that the Kona is not meant to be a top-notch device, and extra components such as a good camera would only serve to bulk up the price. The Kona's camera might be helpful here and there, but it's not going to replace a dedicated camera, not by a longshot. The gallery shows a simple grid of thumbnails. Selecting photos is as simple as using the d-pad to navigate through the library. Just click on a photo to open it. Once open, you can perform edits and/or other actions to a single photo or all of them at once if you wish. 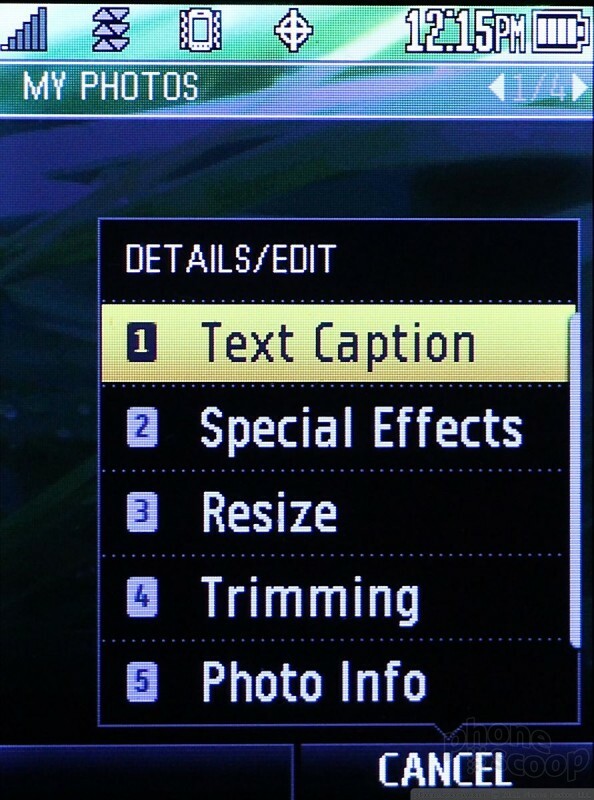 The editing features include the ability to add text captions, which I think is cool, as well as add special effects, resize, or crop the photo. The Kona has 1x data paired with a WAP browser. It's not the best combination for browsing the web. The browser is flat-out awful. The default home page is Sprint's portal, which is a disaster of links that lead nowhere useful. Loading even the most basic sites is an exercise in patience. The Kona may have a browser, but it is not meant to browse the web, at least not well. Get a smartphone if the mobile web is important to you. The Kona can download only a handful of the simplest applications via Sprint's online portal. 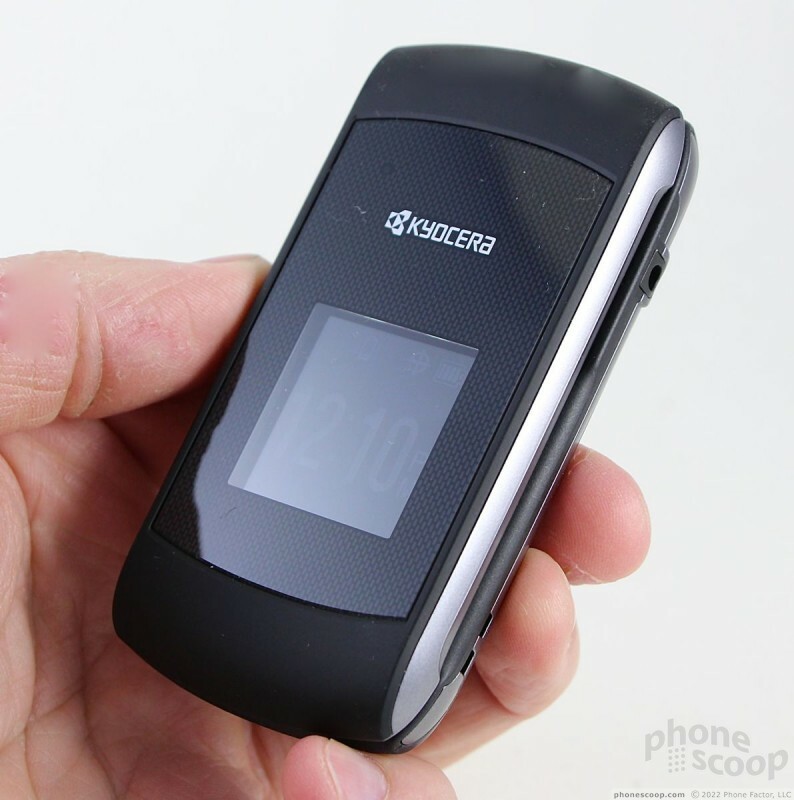 The content available include things such as games, organizers, and ringtones. It's hard to find what you're looking for, and every step requires a page refresh — which takes anywhere from 5 to 10 seconds. It's more infuriating than useful. The Kona supports mono Bluetooth headsets and a few other profiles. Pairing was no problem, but call quality via mono headsets and my car's hands-free system was pretty bad. Volume was fine, but the distortion evident in the earpiece is amplified to horrific effect in a headset. Pairing with other devices, such as my computer, was problematic as the connection kept dropping. The clock on the external display is great for checking the time. It fills almost the entire display with a large digital clock that's viewable even out in the sun. This clock can't be changed. The clock that appears on the home screen can be customized in a number of different ways, including large/small digital, large/small analog, world clock, and several different calendar views. 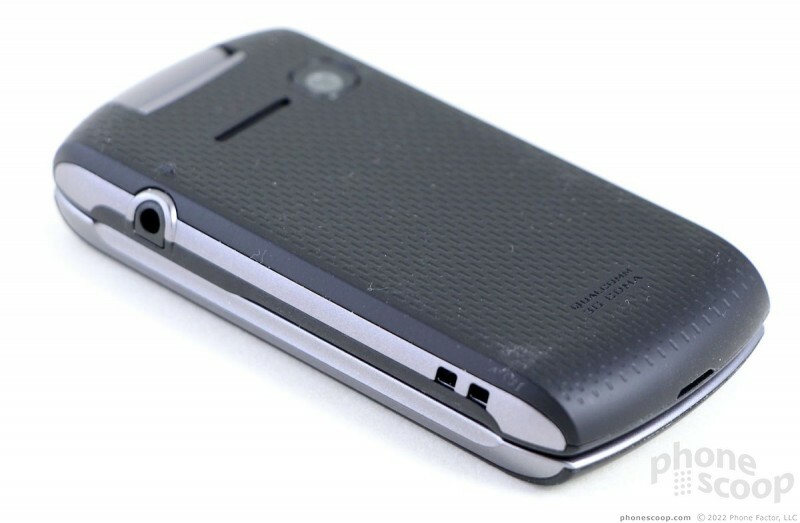 The Kona is a fine little phone for Sprint, Boost, and Virgin - as long as you don't mind its simplicity. 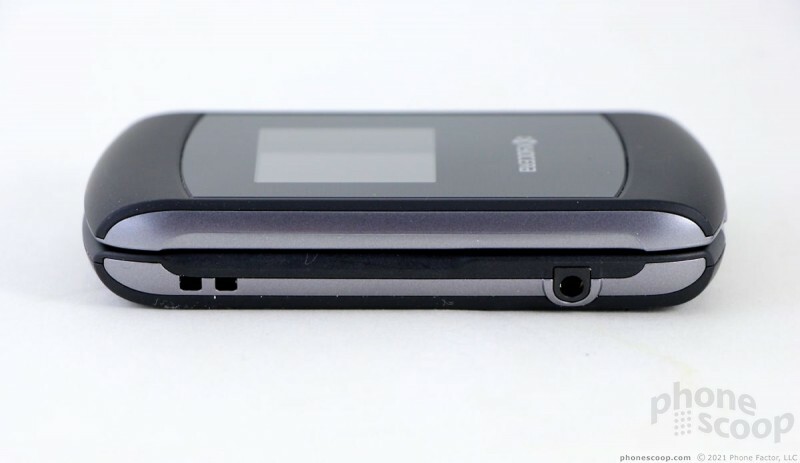 It is a basic flip phone that makes phone calls, sends text messages, and does little else. 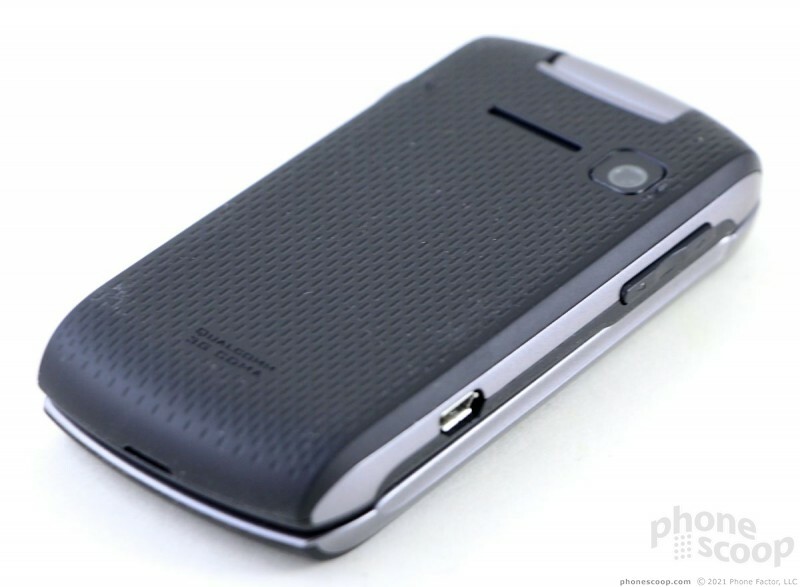 The hardware is well made and functions perfectly; the screens are decent for this class of device; signal and call performance were OK, though not the best; but the battery life is killer. The user interface borders on ancient and isn't very flexible. The included apps are minimal, and you have to jump through too many hoops to install anything else. About the only real feature the device has is a camera, but it's pretty rotten. What's the Kona good for? Sitting in the glove box in case of an emergency. 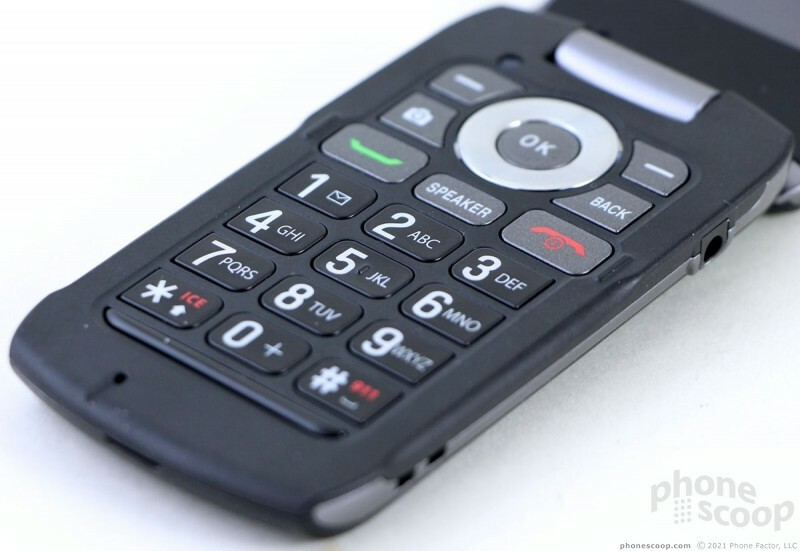 Or, perhaps, it will work for a senior citizen or young child who needs only the ability to make calls and send some messages. If you want your phone to do anything else, pick a different phone.